Check out the best moments from the 2017 BRIT Awards, including performance from Bruno Mars, Skepta and more. 1. 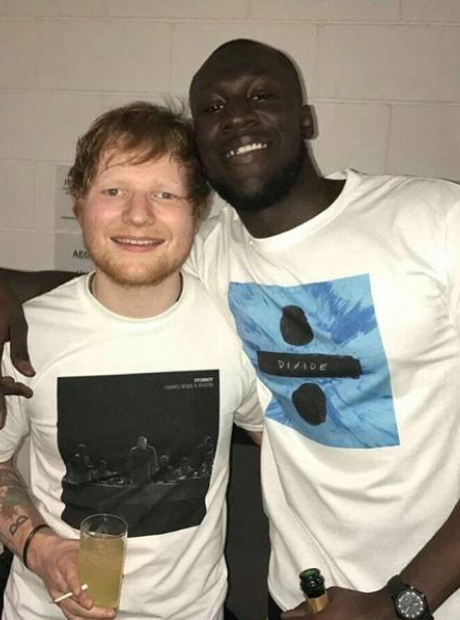 Stormzy and Ed Sheeran supported each other's upcoming albums backstage. 2. Skepta, Ellie Goulding and Tinie Tempah hung out at an afterparty. 3. Before Skepta took to the stage for a surprise set. 4. Raye and Stormzy linked up during the event. 5. Craig David brought his mum along as his date to the ceremony. 6. Whilst Skepta and Goldie sat side by side. 7. The rapper even had his own trending emoji throughout the night. 11. Stormzy joined Ed on stage an amazing collaboration! 12. The 'Big For Your Boots' star smashed his performance. 14. Skepta 'Shutdown' the O2 arena with an incredible performance. 15. He even projected images of BBK members across the stage. 16. Despite his audio being muted in parts, the performance was still a huge triumph. 17. Bruno Mars performed a showstopping rendition of 'That's What I Like'. 18. Emeli Sande stunned the audience with her performance of 'Hurts'. 19. After winning the award for Best British Female.